Welcome to the Career Break Secrets Market. These are our hand-picked, travel-inspiring products that we recommend for you if you are planning, or dreaming of taking a career break. 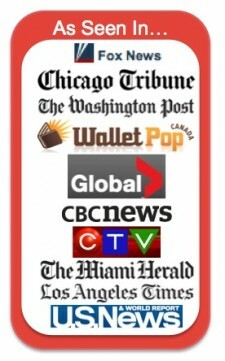 These are all great products for you or as a gift for someone else! Do some shopping, because life is out there. Are you tired of the conventional wisdom which says that you have to spend a lot of money to travel the world? 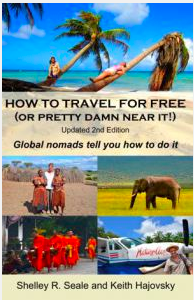 Do you want to learn how two well-traveled vagabonds have managed to do it for decades, as well as the travel-cheap insights they have accumulated over many years of gallivanting the globe? There are many travel resources and guidebooks out there that tell you how to travel on the cheap, how to save money, how to get the best airfares. We have read and used many of them, and there are lots of good ones around. How To Travel For Free (or pretty damn near it!) is different in that in these pages, we share our own personal resources and experiences to show ways in which you can travel not just cheaply, but for free – or damn close to it. Vietnam. A country of diverse landscapes, cultural beauty and inviting warmth from locals. What better way to explore the country than by motorbike? Travel on your own time. At your own pace.Seeing what you want. 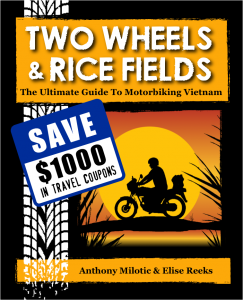 If you have been considering traveling Vietnam by motorbike, but wasn’t sure where to start, then this book is the resource to kick start your journey of a lifetime. Are you up for an adventure, something different, and an experience you will be talking about for the rest of your life? Then this book is for you. Motorbiking Vietnam is ultimate way to see the country and learn about the culture. This book with take you through the ins and outs of buying and renting a motorbike as well as helping you have a safe journey during your travels. You get knowledge from Authors that have done the ride and have local contacts throughout the country and have included the BONUS of $1000 in discount vouchers. This book pays for itself! Strap in for an adventure of a lifetime. Available for your Kindle click here. Airtreks is the company that Jeff has used to purchase his around the world travel tickets since 2007. Use Airtreks’ exclusive TripPlanner tool to enter your travel destinations and price your trip. Perfect for planning and budgeting your career break travel adventure. Click here to view more details and purchase your ticket. If you want to know more, check out Jeff’s post about his personal experience with Airtreks’ services. Expert Advice on Incorporating a Sabbatical or Career Break in Your Resume or Professional Bio – There’s power in time off. If you think time away from work is something you should “hide” on your resume, think again. It can be a compelling addition to your personal brand and unique offerings. Check out Jeff’s review of the book. Cost: $49.95. 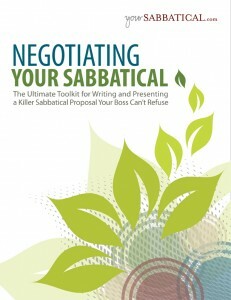 Click here to visit yourSABBATICAL.com. The definitive guide on world travel that is comfortable, safe, and inexpensive, covering the A to Z on getting cheap airfares, health, where to stay, cash and credit cards, safety, passports, travel advisories, visas, precautions, pre-trip timeline, insurance, food, language, climate issues, best online resources, packing checklist, travel tech, budgeting, resources on the road, food, etiquette, price comparisons, and bunch of great travel stories sure to pique your interest. Cost: Regular $67.00, on sale now $37.00. 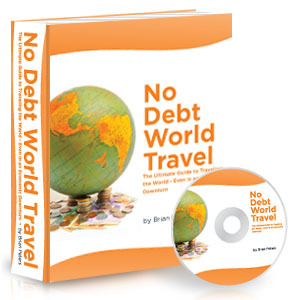 Click here to visit NoDebtWorldTravel.com.